Drake SD composite encoder card. 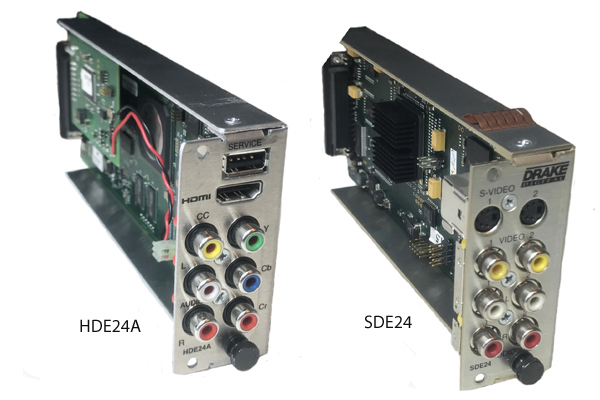 The SDE24 MPEG2/4 encoder module is a dual encoder featuring two separate composite video, S-video and L & R audio inputs. The signals are then encoded in either MPEG2 or MPEG4 and fed to the multiplexer of the EH24. The SDE24 features AC3 (Dolby) audio encoding, selectable bit rate, brightness and contrast level controls.